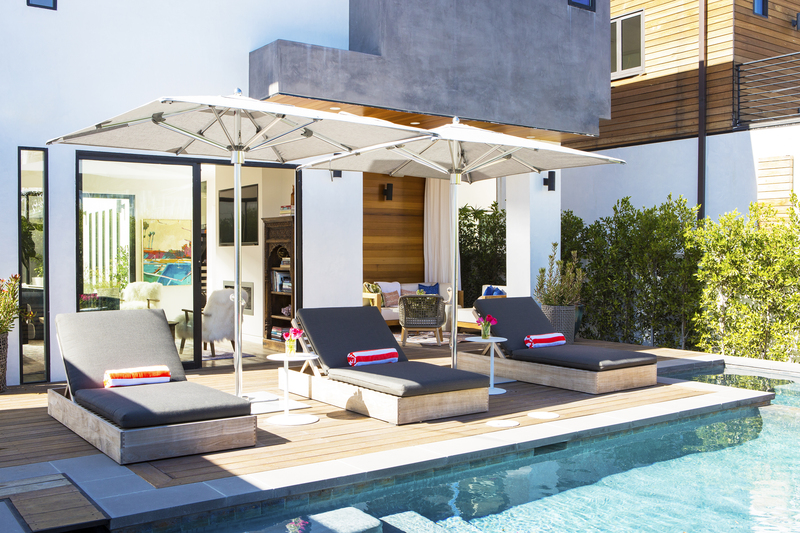 We recently transformed a home in Venice Beach into a beachy artists’ haven. 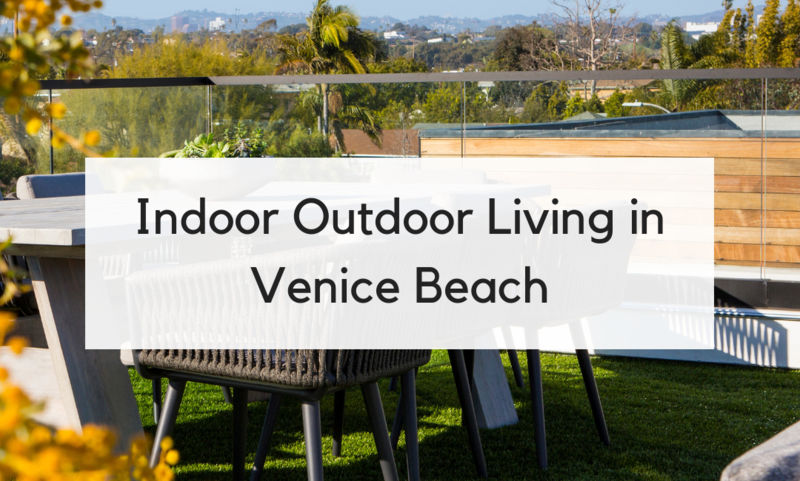 Today on the blog we’re taking you on a tour of the home and sharing all the ways to infuse your home with modern, coastal, indoor-outdoor style. Good flow for indoor outdoor living is imperative to the success of the design. 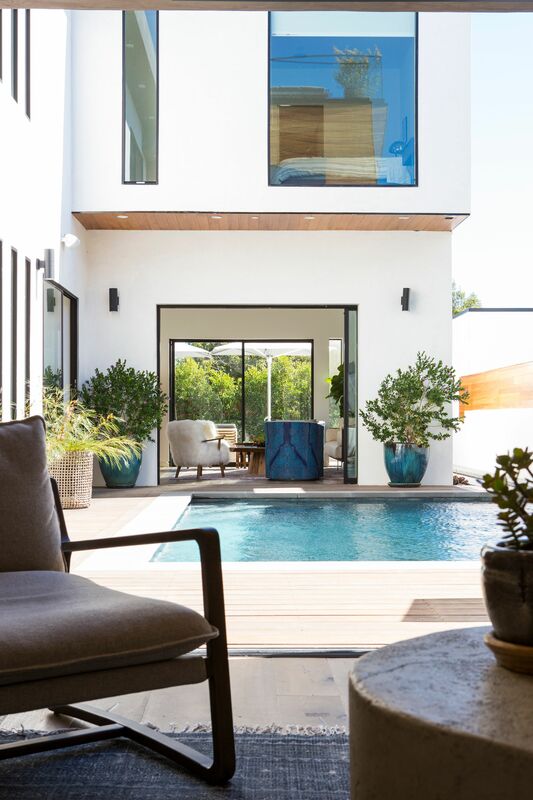 You always want to have intuitive walkways between spaces, especially going between indoors and out, and especially around sharp corners and pools, where it’s a safety concern. 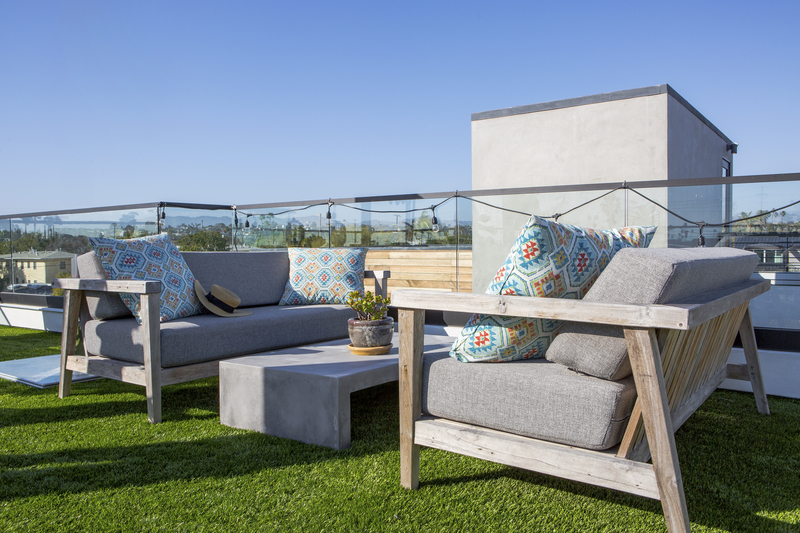 Part of designing a good indoor-outdoor flow is carving out areas to create more intimate moments. A beautiful outdoor rug is a great way to segment off a space and add an enticing, luxurious visual element. 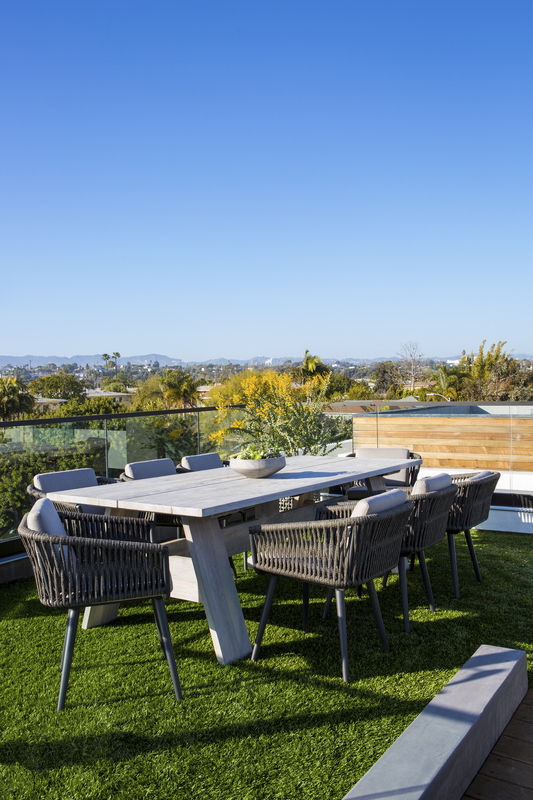 Indoor outdoor spaces and entertaining go hand in hand. You’ll want to be sure to have ample, accessible, cozy seating. Luckily outdoor furniture design has drastically improved in the past decade. Long gone are the days of uncomfortable, plastic fold out lawn chairs. The #1 thing you can do to optimize your indoor outdoor space is large, full wall to ceiling windows to let the natural light pour inside. Select a durable flooring to continue both indoors and out. This is one of the easiest architectural upgrades you can make to unite the interior of your home to the great outdoors! 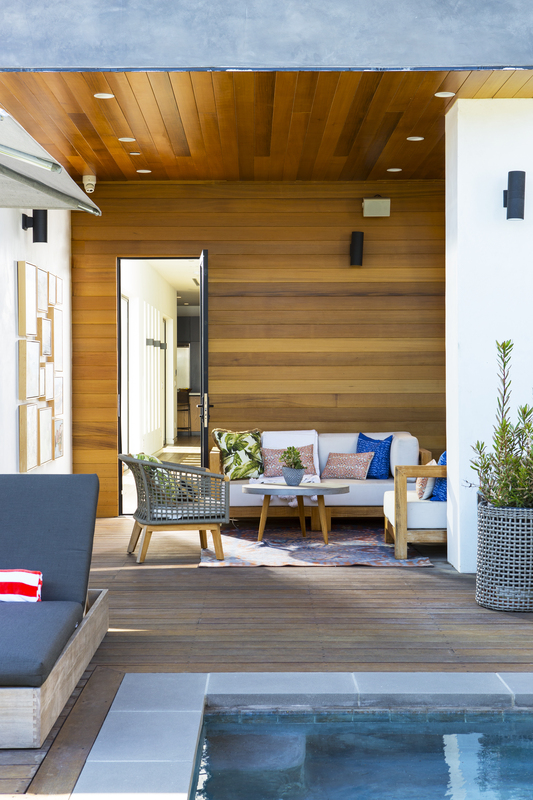 A great architectural feature using natural materials like a wood paneled wall lends a modern aesthetic and continues the indoor-outdoor theme vertically. The garden in the front of the home was designed by talented local garden designer Christy Wilhelmi. 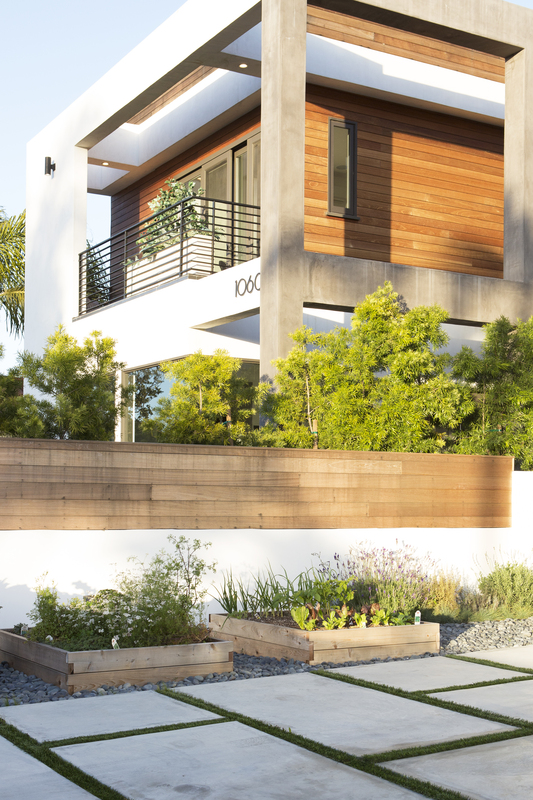 We love the way she designed the garden to be both robust and manageable. A great mixture of pavers and green make this space eco-friendly and homeowner-friendly one in the same. 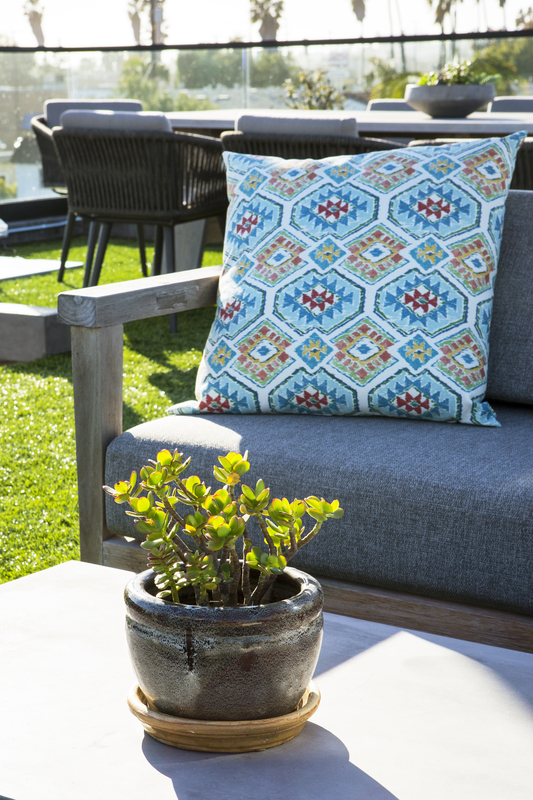 Like a monochromatic impressionist painting, consider selecting outdoor rugs and throw pillows that continue the palette naturally surrounding the home. Knowing your focal point is imperative in the design of any space, indoor or out. 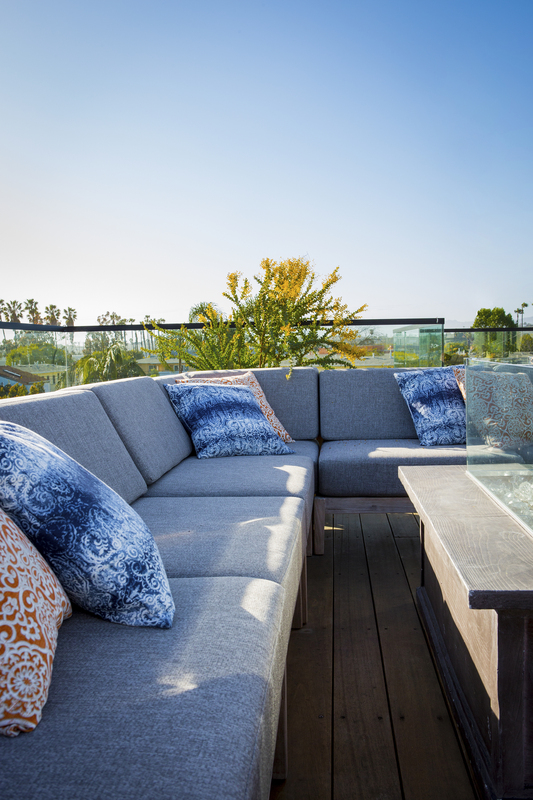 On the roof deck of this beautiful Venice Beach home, the focal point was obvious: the gorgeous panoramic view. So we did everything to not distract from that with low-slung loungey outdoor furniture in muted, neutral color palettes. 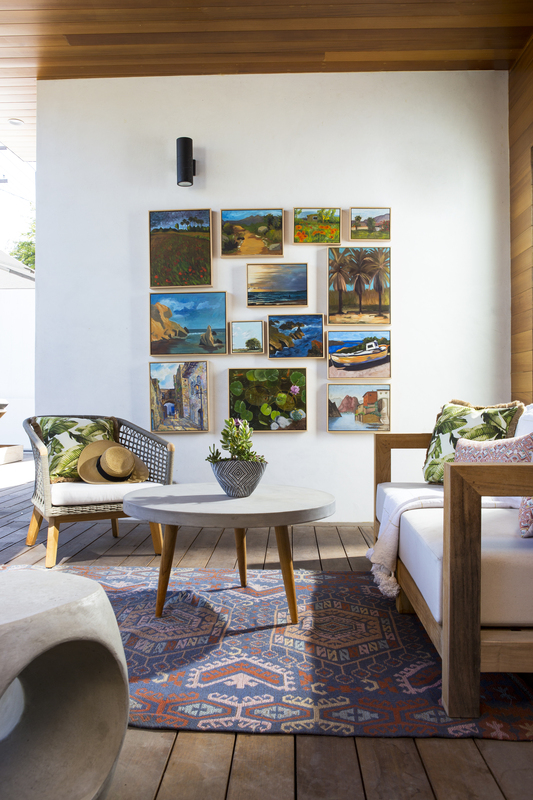 Designing an indoor-outdoor space is all about letting nature guide you. Take a less is more approach. Think twice before purchasing accessories and furniture, your space will look cleaner and sleeker and the environment will thank you too!